Best known for his translation of In Deadly Combat, the best-selling World War II memoir, Zumbro chronicles the relentless assault on the Ruhr Pocket through German eyes as the Allied juggernaut battered the region's cities, villages, and homes into submission. He tells of children pressed into service by a desperate Nazi regime - and of even more desperate parents trying to save their sons from sacrifice at the 11th hour. He also tells of unspeakable conditions suffered by foreign laborers, POWs, and political opponents in the Ruhr Valley and of the mass graves that gave Allied soldiers a grisly new understanding of their enemy. Zumbro also recounts the story of Field Marshal Walter Model's final hours. His eventual suicide effectively ended the existence of the Wehrmacht's once-formidable Army Group B after being pursued, methodically encircled, and finally destroyed by US and British forces. Through interviews with surviving members of Model's former staff, Zumbro has uncovered the attitudes - and harrowing experiences - of beleaguered officers that official records could never convey. Other interviews with former soldiers reveal the extent to which Allied bombing contributed to the rapid deterioration of German combat effectiveness and tell of civilians begging soldiers to abandon the war. Zumbro's deep research reveals the identities of specific characters discussed in previous works but never identified, describes the final hours of German officers executed for the loss of the bridge at Remagen, and offers new insight into Model's acquiescence to Hitler in military affairs. 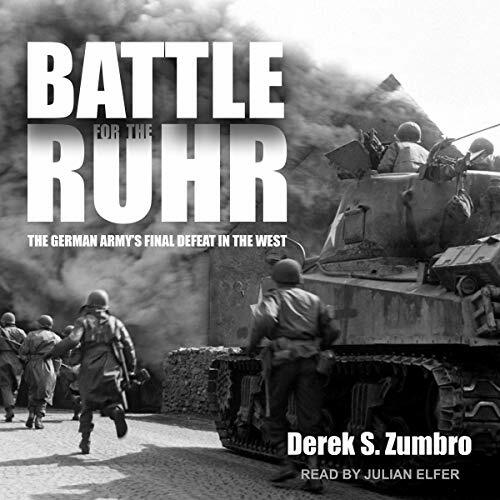 By taking us inside the firsthand experiences and memories of Germans from Reichsmarshals to Burgermeisters, Battle for the Ruhr gives a profound and harrowing ground-level view of the enormous destructive power of war. The individual stories told as the Battle for The Ruhr were interesting and compelling. They captured the German perspective both from a soldier's perspective and the people trying to preserve their homes and their villages. War I am told is brutal and while I do not have the personal perspective this book captures the stories and the brutality of war and its consequences. I enjoyed it very much and highly recommend the Battle for the Ruhr.